Malawi’s president Joyce Banda is currently in Scotland celebrating the birth of David Livingstone, a Scottish missionary born 200 years ago tomorrow. Livingstone, according to the BBC, “helped to fight slavery in Malawi and other African countries”. Besides the bicentennial celebrations, Banda will hold high level discussions with senior government officials and potential investors. She will meet with the director of the Centre for Energy, Petroleum and Mineral Law and Policy (CEPMLP), University of Dundee, address the second UK-Malawi Investment Forum on 20 March, and participate in an event at Chatham House on Thursday 21 March. Among other ministers, John Bande, the Minister of Mining, is accompanying her on this trip. I welcome the visit of the Malawian President to Scotland and look forward to meeting Her Excellency. Joyce Banda is internationally renowned for her untiring work in promoting education and women’s rights in Malawi, amongst other issues, both prior to coming to power and now as her country’s new President. CEPMLP alumni from Malawi have been notably successful in their subsequent careers, acting as role models for their fellow nationals to emulate, and validating the benefits to Malawi and its people of investing strongly in education, regardless of gender. The quality of student that CEPMLP attracts from Malawi is consistently impressive. Dr Leonard Kalindakafe [sic] holds the highest civil service post in the Ministry, which recently shifted its focus from mining and energy to exclusively focus on mining issues. Today, Cameron, the director of CEPMLP, met with the Parliamentary Under-Secretary of State for Scotland, David Mundell MP, to discuss the possibility of capacity building of Malawian officials in mining contract negotiations. The university is one of the best and we are consulting on how best we can approach the new Mining Act, the Mining Code, the Petroleum Act and policy as well as the petroleum sharing agreements and the country’s capacity to negotiate the best mining contracts or agreements. We will continue consulting on new and old transactions in the mining sector to make sure that Malawians get the best. We will consult all those advanced countries for best practices. CEPMLP has also reported that “an exchange of senior visits was agreed in the coming months to plan in detail for cooperation between CEPMLP and the Ministry in Malawi”. 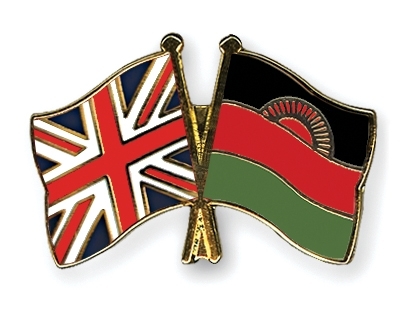 On Wednesday 20 March, Joyce Banda will address the UK-Malawi Investment Forum. The Developing Markets Associates, the organisers of this event, told Nyasa Times that the Forum will be attended by senior government officials from Malawi and senior institutional investors from Europe and North America. The Forum will also be attended by high ranking representative and prominent members of the business community in particular those already engaged in Malawi. The programme will go on to paint a contemporary picture of the investment climate in Malawi and the country’s efforts to attract foreign direct investment. This will be followed by three further sessions including mines and energy, infrastructural development and agriculture and tourism. The event is the most significant investment drive the Malawian government has ever undertaken and as such affords an exceptional opportunity for the business community ready to engage at a strategic level. Malawi stands to gain from the increasing international attention being paid to southern and eastern Africa as a new source of oil and gas and as an emerging partner for trade. Ahead of the country’s elections in 2014, a key test for Malawi will be to ensure that its enhanced international reputation is matched by an improvement in the livelihoods of its citizens. Recent praise from the UN food agency for Malawi’s efforts to combat hunger is a positive sign, but the challenges facing the country – where over half of the citizens live below the poverty line – remain significant. HE President Banda will set out her vision for Malawi’s future development, and highlight the importance of strengthening institutions and protecting human rights.